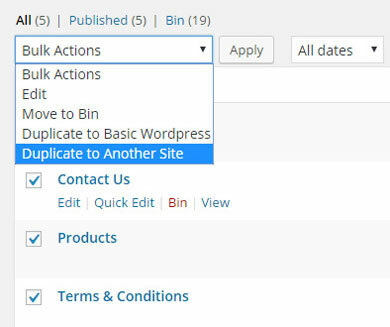 March 13th in Plugin Lists by Wordpress Jedi . Multisite Post Duplicator: lets you duplicate and copy pages, posts, and custom post types. Post Duplicator: this plugin makes exact duplicates of any selected post. Custom post types are also supported. You can change date, timestamp and other settings from the backend. Duplicate Page: lets you duplicate pages, posts, and custom posts with one click and save them as a draft or private post. Have you found better post duplicator plugins? Please share them here.